OK, you sleuthers. Here’s the challenge. 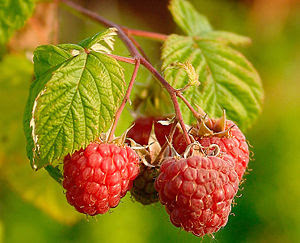 I leave the house with a small bowl, heading towards the raspberry bushes. Time elapses, and there are raspberries in the bowl. I start walking towards the house, but by the time I reach the back door, the bowl is empty! Is it fruit evaporation? Invisible fruit bats?